On May 22, scientists made a remarkable discovery of a female mammoth in the icy New Siberian Islands. It was so well-preserved that when sampling the "blood came running out." Researchers from the Research Institute of Applied Ecology of the North, North-Eastern Federal University and Russian Geographical Society had gone on a paleontological expedition and discovered the carcass. 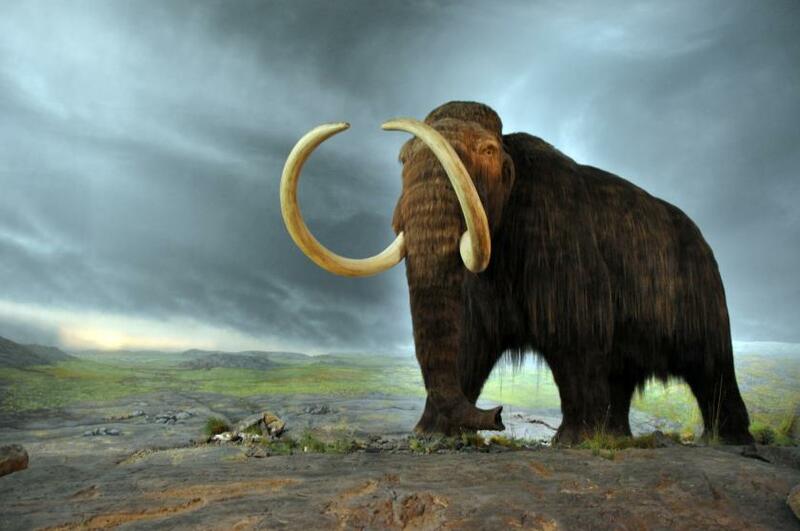 Now, prospective cloning of the giant animal could open up a can of worms, as it has caught the attention of South Korean scientists, including one researcher who holds a controversial background and wants to bring the mammoth back to life. "The blood is very dark, it was found in ice cavities below the belly and when we broke these cavities with a poll pick, the blood came running out interestingly the temperatures at the time of excavation was -7 to 10oC," Semyon Grigoriev, the head of the expedition and chairman of the Mammoth Museum of the Institute of Applied Ecology of the North, said. "It may be assumed that the blood of mammoths had some cryoprotective properties." The researchers extracted the blood into a test tube with added preservative agents and will be expecting the results from a bacteriological analysis soon. They described the flesh as the red color of fresh meat, which stayed that way after the lower portion of the body was found in pure ice while the upper portion was spotted in the middle of the tundra. The trunk, the least preserved, was found separated from the carcass. They concluded the female giant was nearly 50 to 60 years old when she died, and estimated that she weighed nearly three tons when she roamed the earth between 10,000 to 15,000 years ago. Possible explanations as to why it was found in the ice was that it fell through while trying to escape from predators. Some predators may have eaten parts of the mammoth during the time it was trapped. "It was important to discover the mammoth in cold weather, because the unique discovery would melt in summer or autumn, and the priceless material for joint project 'Mammoth rebirth' of NEFU and Sooam foundation could disappear from thawing and wild animals," Grigoriev said. South Korea's Sooam Biotech Research Foundation announced last year that they teamed up with Russian scientists to clone a woolly mammoth that was discovered in Siberia, but there weren't enough cells to clone. One of the lead researchers is Woo-Suk Hwang, who controversially faked evidence of cloning human cells in 2006. Hwang has slowly come back to the limelight after successfully cloning the first coyote and first dog, Snuppy. The team of researchers are still unsure whether there's enough living cells for the cloning process, despite the mammoth's good condition. Grigoriev said that DNA repair will probably take years, but there is a small possibility of resurrecting the giant. View images of the discovery here.